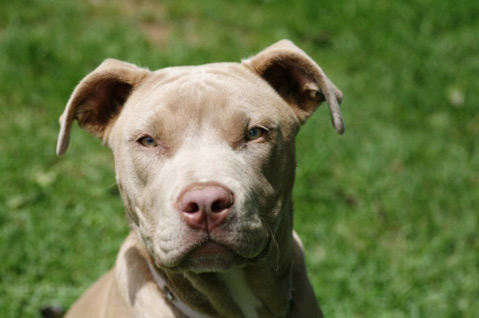 Are Breed-Specific Laws the Answer? Although this law was enacted to target gangs, it is the dogs that are under attack, and the residents of Lancaster are up in arms. I’m also not a fan of breed-specific laws, but in my opinion, one more spayed or neutered dog means one less homeless animal that has to fight for a home. If the city of Lancaster went one step further and voted to ban these breeds altogether, along with the residents I would be irate. Breed bans don’t work. They separate pet owners from their beloved dogs, regardless of the maturity and commitment of the owners, or the temperament and background of the dog. Breed-specific bans essentially punish responsible dog owners simply because they own a specific breed of dog. These dog owners may lose their pet even though they are doing everything right and their dog is well behaved. When I managed the Michigan Humane Society, the city of Pontiac decided to ban pit bulls in an attempt to crack down on dog fighting. Thirty days following the ordinance, dozens of pit bulls were turned in to our shelter by responsible, loving owners who were obeying the law. Unfortunately, all of these pit bulls were euthanized due to the Michigan Humane Society’s pit bull policy (which has since been overturned). Meanwhile, the irresponsible pit bull owners who were breeding their dogs for fighting disregarded the ban and continued to fight their dogs anyway. Thankfully, this law has been reversed. Twenty years ago, the public didn’t seem too concerned about pit bulls and Rottweilers. At that time it was the Doberman pinscher that was being vilified. Then in 2001, after a Presa Canario fatally attacked Diane Whipple in San Francisco, troubled individuals sought out this breed thinking it was the new “killer” dog. Unfortunately, the “problem dog” at any given time is often the most popular breed among individuals who tend to be irresponsible pet owners. If you ban one breed, these individuals will just move on to another one. Regardless, breed alone is not an accurate indicator of a dog’s propensity to be aggressive. A dog’s tendency to be vicious is a product of several factors including: socialization, obedience, quality of care and supervision by the owner (is the dog part of the family or is he kept chained outside? ), and whether the dog has been spayed or neutered. Spayed and neutered animals tend to be less aggressive. Which is why, again, I don’t have a problem that Lancaster is requiring mandatory spaying and neutering. Although I don’t approve that they are only requiring it of two particular breeds. Instead of focusing on breed, many communities have found that dog-bite legislation coupled with public education has been a successful approach when trying to deal with aggressive dogs. Legislation aimed at punishing the owner of the dog rather than punishing the breed of the dog is far more effective in reducing the number of dog bites and attacks. Bottom line: Dangerous dogs come in all shapes and sizes, and breed bans don’t effectively address the issue. As far as the legislation in Lancaster for mandatory spay and neuter of Rottweilers and pit bulls, I will be waiting with bated breath to see if it makes a difference. Such a charming couple. Ava, a girl, and Tyler, a boy, are going home together. And what a lucky home it will be. Ava and Tyler are generous with their affection. You could be included in the warmth of their love. A perfect, ready-made family for someone. They are brother and sister, and very sweet. They are also good with their litter box. Both are altered and ready to go. The six-month-olds are devoted to one another, and are cute mini-lops. Bunnies Urgently Needing Shelter (B.U.N.S.) is a volunteer organization that cares for abandoned rabbits. B.U.N.S is located at the Santa Barbara County Animal Shelter, 5473 Overpass Rd., Santa Barbara, California. B.U.N.S. works to find bunnies permanent homes, and educates the public on caring for a companion rabbit.